The Activator Method is the most widely recognised low-force chiropractic technique in the world. Many clinical and scientific peer-reviewed papers validate the effectiveness and safety of chiropractic care and the activator technique have been published. It has been safely used for over 40 years to benefit people with a wide range of health problems-without drugs or surgery! It was developed in the late 1960’s to further improve the safety and comfort for clients who sought a form of healthcare that was natural, drug free and avoided the need for surgery. Jonathan Wilson (Doctor of Chiropractic) is Advanced Proficiency Rated using the Activator and has helped hundreds of clients to find the results that they are seeking. The Activator Technique incorporates the latest advances in orthopaedic, neurological and chiropractic examinations along with a unique system of administering spinal adjustments. 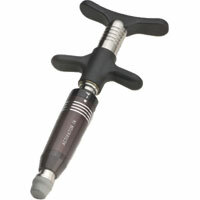 The Activator delivers a controlled, light and fast thrust, without strain to the client. This small, precisely administrated force helps to restore spinal balance safely and comfortably. Jonathan Wilson (Doctor of Chiropractic) has received extensive training in the Activator Technique and has undertaken the examinations to gain their advanced proficiency status. Restoring your spinal health and body mechanics safely and effectively have been the compelling goal behind the Activator and the personal goal of Jonathan Wilson (Doctor of Chiropractic).